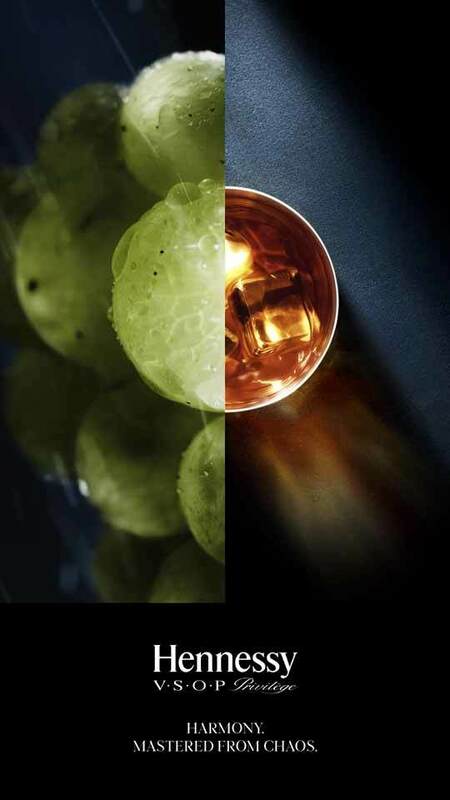 DDB Paris commissioned me to create photographs and cinemagraphs for a worldwide campaign for luxury cognac brand Hennessy. This was a wonderful project to work on. 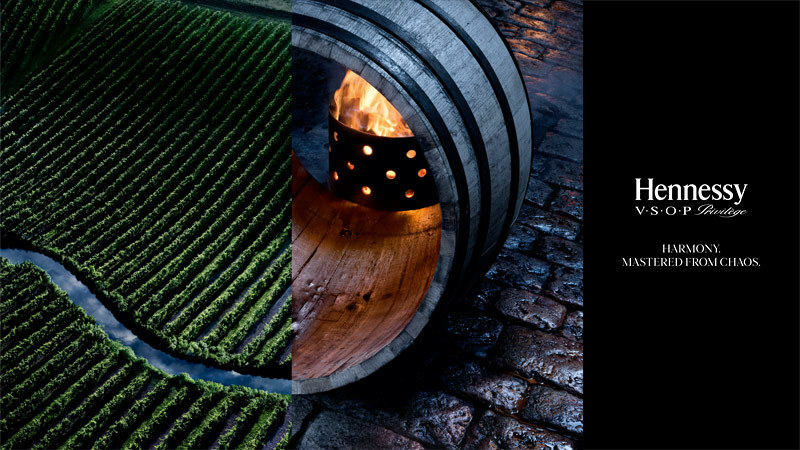 Before starting shooting Hennessy invited us to spend a day in Cognac, visiting their world-famous distilleries and the warehouses where their most precious eaux de vie are stored, waiting to be transformed into blends by their master blenders. We were privileged to be invited into the tasting room, where each day a small group of experts spend an hour tasting a selection of samples. 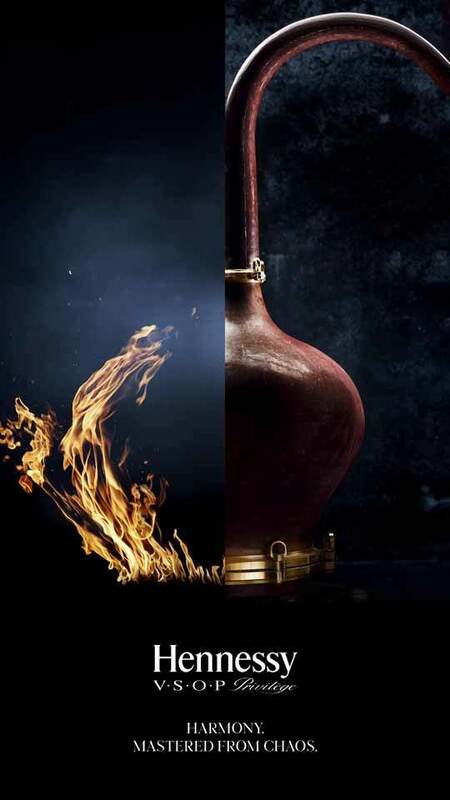 Over a year they taste every single eau de vie in their stocks, to follow their development over the years, decades and even centuries that go into the maturing process, and to pick out which ones will be used for the various blends. We were even treated to a tasting lesson with one of the blenders. Glad we didn’t have to shoot after that. 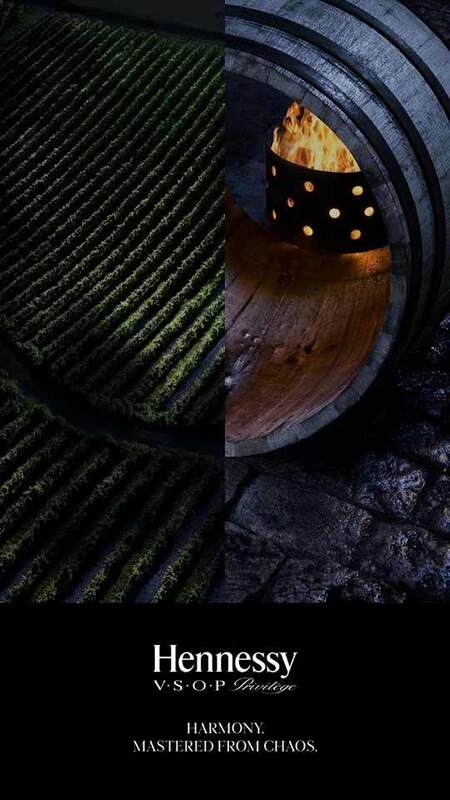 The production was a nice mix of technically challenging images: a dusk shoot from a helicopter, pouring cognac into a glass in studio, lighting up a vineyard at night, making a real fire follow the shape of an alembic in the distillery, photographing grapes in a storm, and of course, doing all of the above for both stills and film, in slow motion. 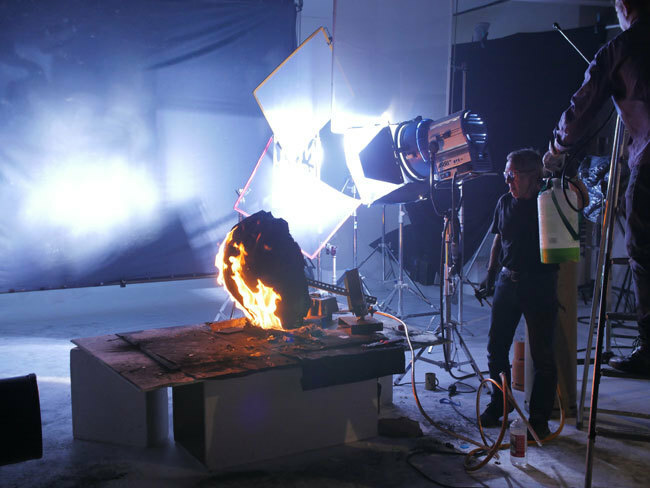 Fortunately we had an amazing crew with a brilliant special effects specialist [aka pyromaniac] who helped us create just the right flames without burning down the studio. While shooting the barrel image we were treated to a lesson in how to make a barrel. 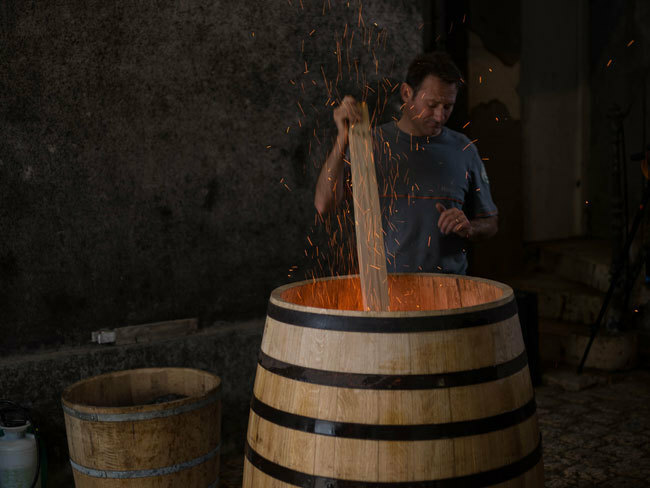 Hennessy's tonneliers (barrel-makers) char the inside of the wood to give it a smoky, caramelised taste, which contributes to the complex blend of flavours in the cognac. 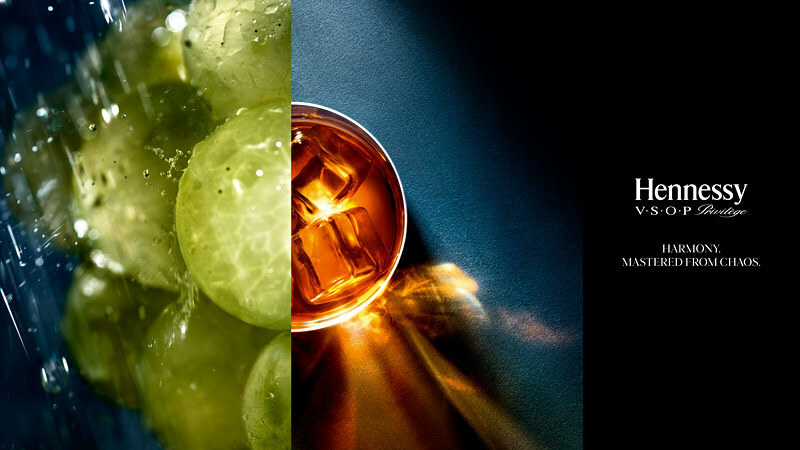 J’ai eu la grande chance de photographier et filmer des images et gifs pour cette campagne pour la marque de cognac Hennessy. 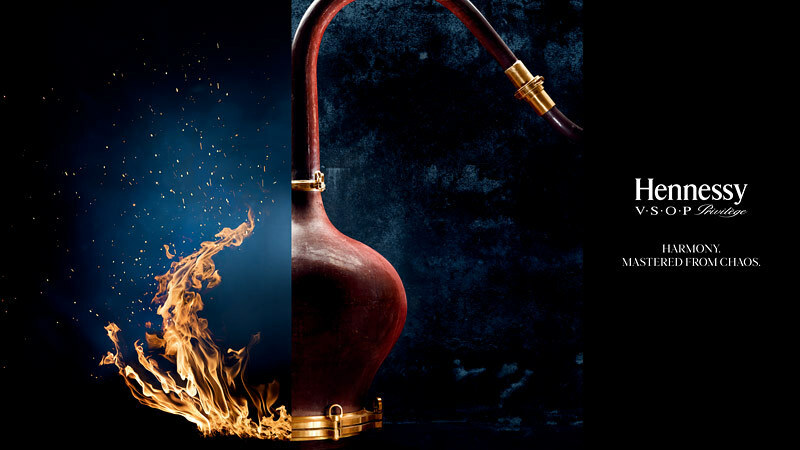 Avant de lancer la production Hennessy nous a invité à passer une journée à découvrir la marque, avec des visites de la distillerie et des chais où leurs plus précieuses eaux de vie sont stockées. Nous avons même eu droit à un cour magistral de dégustation. Hic.